Hey gang! Team Cherry here. We’re hugely excited to reveal the new Hollow Knight: Voidheart Edition, arriving for PS4 users September 25! Descend into the world of Hollow Knight, the award-winning action-adventure through a world of insects and heroes. Explore twisting caverns, ancient cities and deadly wastes. Battle tainted creatures and befriend bizarre bugs. Uncover ancient history and solve the mysteries buried at the kingdom’s heart. The original action-adventure. Journey through vast lands. Defeat over 150 deadly foes, including over 40 epic bosses. Power up with startling new skills and abilities. 4 giant Content Packs, built in at launch, expanding the game with all new quests, terrifying boss fights and striking new abilities. That’s Hidden Dreams, The Grimm Troupe, Lifeblood and the enormous Godmaster. Hours of additional content, additional challenges and additional bugs (the insect kind!). Hollow Knight: Voidheart Edition’s release is only two weeks away! To celebrate, pre-orders will begin on September 14, with a 20% discount for all PlayStation Plus members. That’s it, gang! We’re keeping it short and sharp. Get your adventuring skills honed and ready. 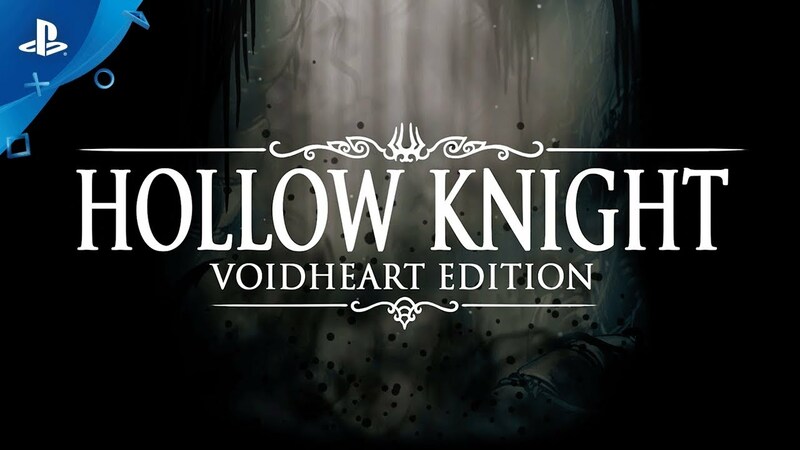 Hollow Knight: Voidheart Edition is almost here! Physical Edition would be nice… LRG to the rescue?! Team Cherry already announced a physical release. It is supposed to come out Spring 2019 for PS4, Xbox One, and Switch. Can’t wait to try it out. I’ve been hearing good things. I desperately searched mid august for info on a ps4 release before buying on switch. Really awesome game, I will be getting it again on my preferred (ps4) platform. Great news! Day one. Is there any Pro support by chance? Doubt Vita could run this if it wanted to. Vita definately could. It ran Uncharted and Killzone. damn.. i JUST bought this on my switch yesterday! oh well portability for the win! This game is so awesome, it deserves the “Nintendo treatment.” Meaning, everyone should double or triple dip. @ Ralstonizer if it can run Uncharted and Killzone it can run this game. Trust me I’ve played over 20 hours I’m sure the vita could run This, but the sad stupid that it won’t. Er, you mean it can run dumbed down portable-exclusive spinoff versions of Uncharted and Killzone. These are games that fall somewhere between PS2 and PS3 quality. Don’t make it out to be something it’s not. There’s a reason you barely ever see any new metroidvanias or roguelikes that aren’t using 8/16-bit graphics on Vita anymore. I loved my Vita, but it’s outdated and has been for a while now. It couldn’t even handle Binding of Isaac Afterbirth. There’s an easy way to find out for sure. Look at Hollow Knight’s minimum system requirements. Now look at the tech specs for the Vita. It’s not even close. Or if you’d rather, I have 100% complete on the game so trust me, I must know what I’m talking about. Finally!!! Thank you, Team Cherry and PlayStation! Will it be available for mexican market?? That’ll be day one for me!! ^_^ I can’t wait! Still not amused with your radio silence after the deleted tweet…. but pretty glad to see this coming nonetheless. YESSSSSSSSSSSSSSSSSSSS! **** YESSSSSSSSSSSSS! I AM so excited PREORDER!!!!!!!! YESSSSSSSSSSSSSSSSSSSS! DUCKING YESSSSSSSSSSSSS! I AM so Ducking excited PREORDER!!!!!!!! you made my day years of emailing you guys and you never replied but to hell with that I want this now!!!! throwing money at the screen why is nothing happening. The game is 15 bucks on steam, gog, and switch. I imagine it will be 15 bucks, guess we’ll find out when it is available for pre-order tomorrow. An instant preorder for me. This game really caught my eyes last year and from all the positive reaction i read that I really wish I had the chance to acutally play it. I hear it was coming sometime next year to the ps4 that it was going to be a long wait, but this is awesome news came out of nowhere. I can’t wait to preorder it later today and play later this month. I so freaking excited! I can’t believe its cheaper than Chasm or Death’s Gambit for example, this is one of the best indie games ever.